Five Nights At Freddy’s: Sister Location Texture Pack for Minecraft PE includes all animatronic skins from the popular five-night game series by Freddie. At the moment it’s 10 skins that will turn you into one of the characters of this game. 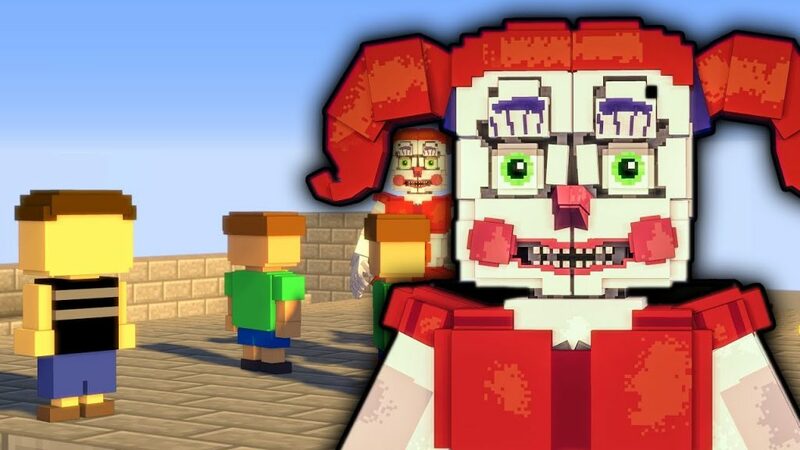 Now you can easily change your appearance in MCPE and turn into a favorite character today! 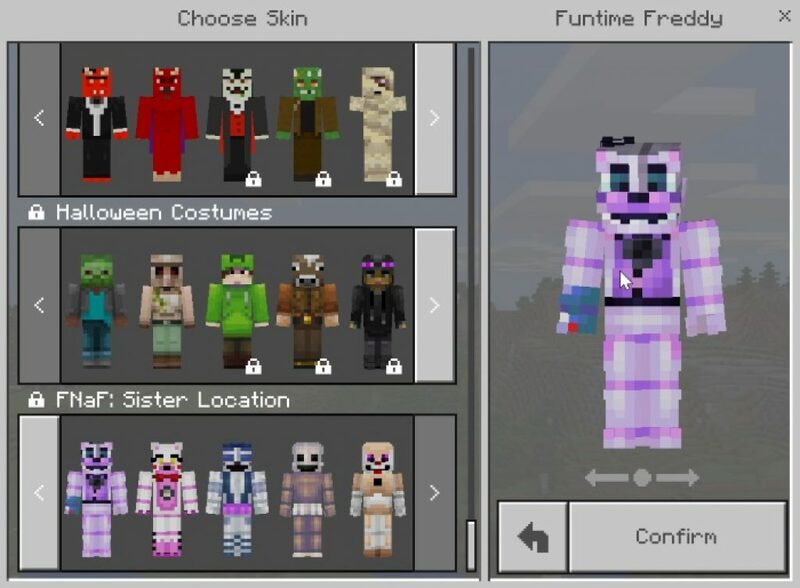 Once you download and install this pack for Minecraft Pocket Edition, at the bottom of the screen all available skins will appear.